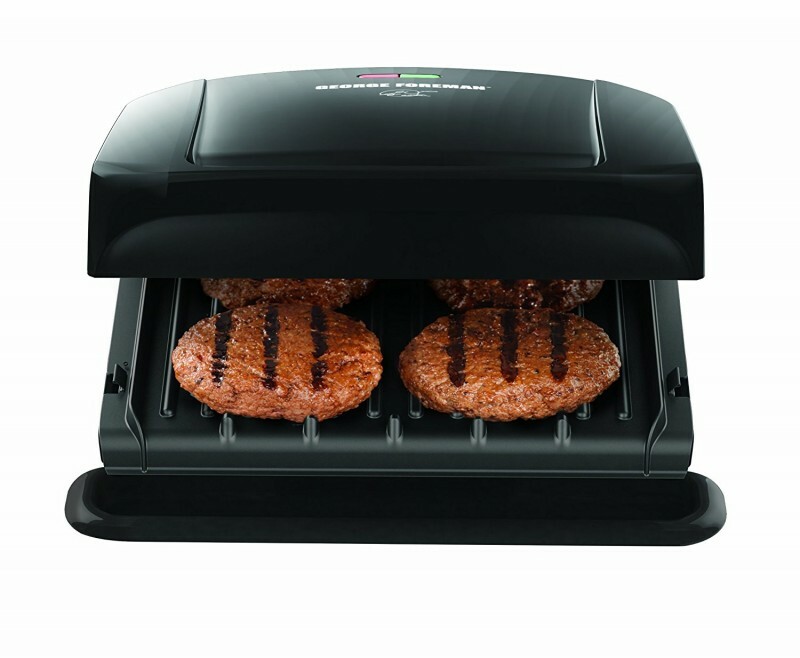 Cook quick and tasty meals for the whole family with the George Foreman GR3060B Grill. The 4-serving area of the grill is ideal for burgers and chicken for the whole family, or for a smaller meal complete with grilled vegetables. The advanced George Tough non-stick coating is 2x more durable than previous models, and removes the need for excess oil and butter. Plus, removable grill plates are dishwasher-safe, making cleanup that much easier. With 35% faster heat-up times than previous models, you can go from plugging in the grill to enjoying a tasty meal in just 10 minutes! This indoor grill provides enough space for 4 servings—perfect for dinner portions for the entire family. 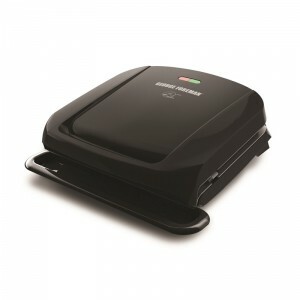 The advanced George Tough non-stick coating has two times the durability of previous coatings, and removes the need for excess oil and butter during cooking. Cleanup is a breeze with the dishwasher-safe removable plates. 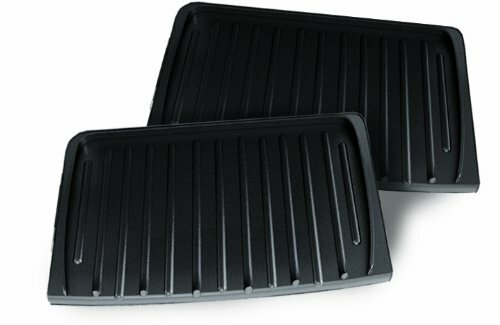 The dishwasher-safe drip tray collects greasy run-off and allows it to cool down, making cleanup safe and simple. 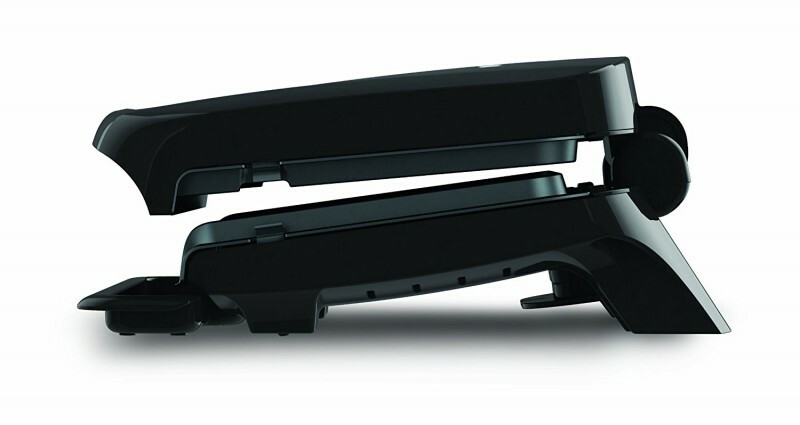 The 1-inch adjustable hinge accommodates a variety of cuts of meat and vegetables. One indicator light lets you know when your grill is plugged in, and the other shows when the grill is preheated and ready to cook up a tasty meal. Fast meals are easy! Quick to heat up, quick to cook, and quick to clean! Perfect for your busy lifestyle!